We have three excellent open houses this memorial day weekend. If you are interested in any of these homes or to learn more about any other open houses on the Cape, contact us today. 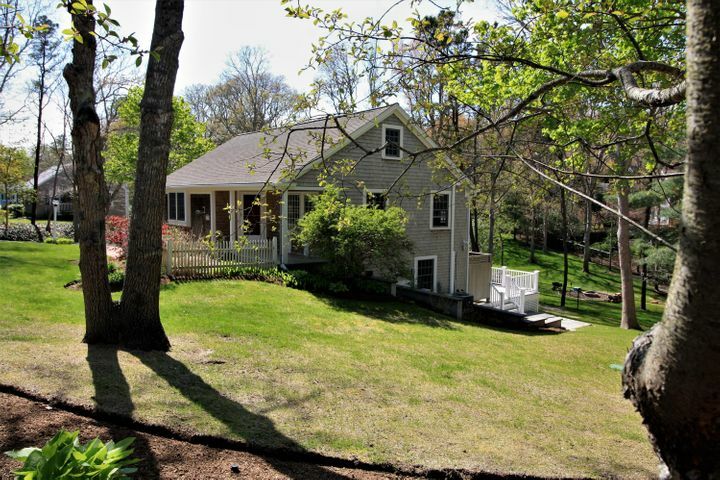 Enjoy bird watching in spring and fireworks over Cape Cod Bay on the 4th of July from the spacious custom crafted home. The setting has character that is un-matched with expansive views of Quivet Neck, lush grounds, and easy access to Crowes Pasture, Cold Storage and Sea Street Beaches--a most sought after location in East Dennis. The home's flow is inviting and gracious with three gas fireplaces, vaulted ceilings, and sparkling floors. There are outstanding entertainment areas from gourmet kitchen, outdoor brick oven, and large deck to gracious dining room. For work-at-home folks the private office cannot be beat. This is a one-of-a-kind lovely home that offers more than the ordinary. Two homes on one lot! This 1.67 acre estate consists of a tastefully renovated gracious main house plus guest cottage in a verdant setting. Situated in Barnstable Village and less than a mile from Millway Beach this property is currently unmatched, yet still has room for expansion. How about a tennis court, swimming pool, or bocce ball court? The possibilities are endless. The main house boasts a gourmet kitchen, beautiful hearth with an elegant custom mantle, gleaming wood floors, renovated baths with river-stone tile, butler's pantry converted into a dignified office, nooks and crannies galore. The detached one bedroom guest cottage with its beautiful floors and window wrapped den, along with the main house, make this versatile property perfect for large gatherings and summer soirees. Your imagination will delight when you encounter the outdoor fire pit, travertine patio, gardens, green house and fruit trees. All of these are just a minute to coffee shops, restaurants, post office, galleries, and village market. The renovations undertaken since 2003 include new kitchen, baths, windows, furnace, hot water heaters, roof, painted interior and exterior, to name a few. The landscaping is beautiful and allows for simplicity or formality. This is a one of a kind property to be proud of and love. We have four excellent open houses this weekend and predictions of fair weather so don't miss out. If you are interested in any of these homes or to learn more about any other open houses on the Cape, contact us today. Spring makes us love the Cape for a lot of different reasons, not the least of which is the warming weather and water. 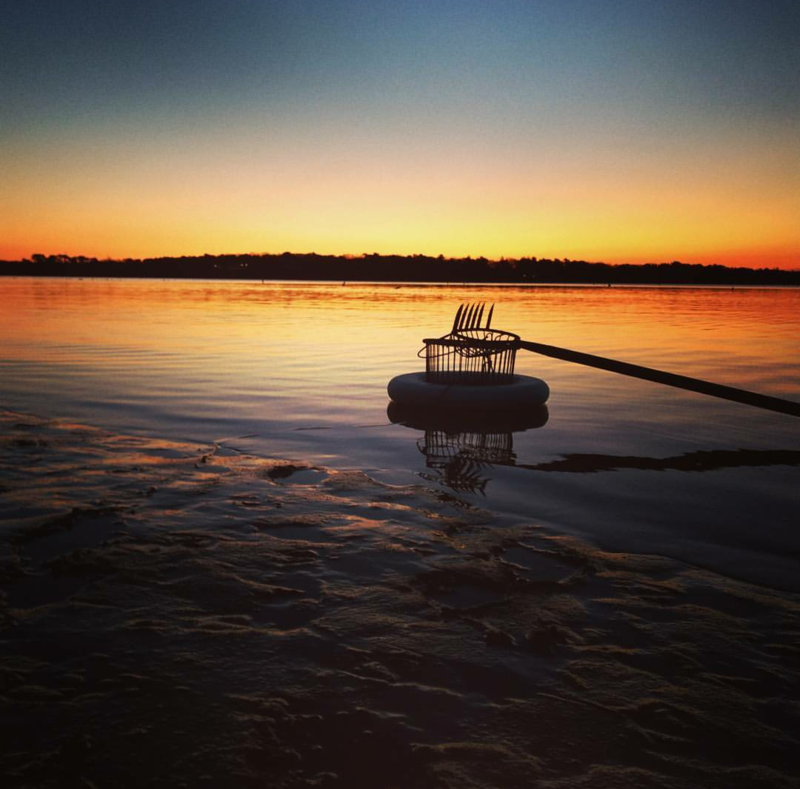 Warmer water means that we no longer need to worry about hypothermia when participating in one of the best Cape Cod activities, shellfishing. Each town has unique regulations and areas that are open and closed depending on the season. Check out the listings below for more details in your town. We also provide one or two suggestions of our favorite places but we suggest you find your own! 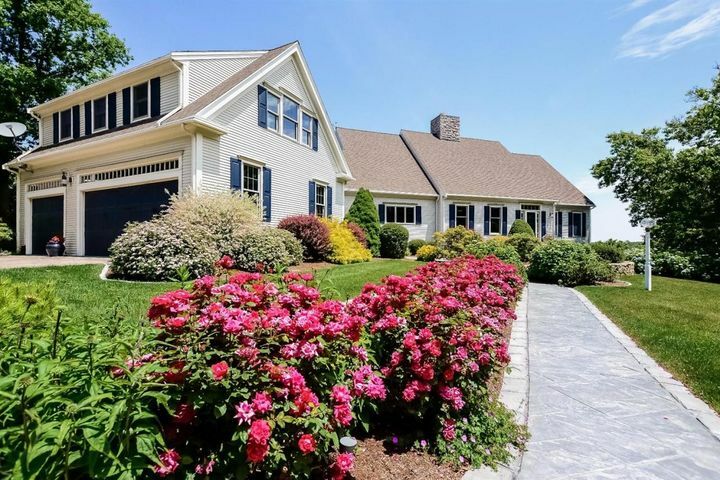 Location is everything and this home has it all - expansive views of Quivet Neck conservation land as far as Cape Cod Bay, lush grounds that set the tone for the Cape Cod lifestyle and all only a stroll to Cold Storage and Sea Street Beaches. The gracious interiors cover 6600 square feet which include separate living quarters and a large private office that makes this home ideal for a professional home office. Every inch was custom crafted with low maintenance in mind. Boasting a fabulous chef's kitchen and oversized deck, entertaining is a breeze. Delight your clients with delicious treats prepared in the brick oven while enjoying the sweeping views and wine on the deck or by the fire pits. This special place features 5 bedrooms, 5 baths, sparkling wood, tile, vaulted ceilings, This is truly private and in an exceptional neighborhood. Bring your personal touches. Two homes on one lot! This 1.67 acre estate consists of a tastefully renovated gracious main house plus guest cottage in a verdant setting. Situated in Barnstable Village and less than a mile from Millway beach this property is currently unmatched, yet still has room for expansion. How about a tennis court, swimming pool, or bocce ball court? The possibilities are endless. The main house boasts a gourmet kitchen, beautiful hearth with an elegant custom mantle, gleaming wood floors, renovated baths with river-stone tile, butler's pantry converted into a dignified office, nooks and crannies galore. The detached one bedroom guest cottage with its beautiful floors and window wrapped den, along with the main house, make this versatile property perfect for large gatherings and summer soirees. Set yourself apart from the ordinary. This unique & refined home is to be enjoyed in summer and year long. Just minutes to Fancy's Market, library, post office, galleries, coffee & brunch; or to Dowses Beach for sunny walk or cooling dip; or launch a kayak down East Bay to Centerville River. This home is tastefully renovated with versatile floor plan ideal for entertaining. The heart of the home features a family room/kitchen combination that spills onto the large gracious sun room, deck & patio. The living room with lovely bay window is set apart allowing for intimate chats. Two bedrooms each have private baths. There is an additional large sleeping area with half bath for visitors. The home is air conditioned throughout. Plenty of parking for guests. Take part in what life is all about. Bring your beach balls...This Cape Cod year-round getaway with proven rental history is turnkey ready for fun with plenty of room for outdoor games. It is being sold furnished along with the booked rentals. It is nestled on a cul-de-sac and features wood floors, three bedrooms, living room with cozy fireplace, nice sized eat-in kitchen, enclosed porch, wonderful deck for barbecues, and large storage shed. The location offers easy access to warm Nantucket Sound beaches, shopping, kayaking on the Swan River, and bicycling on the Cape Cod rail trail. It is well kept, has a newer furnace, a whole house fan, and washer and dryer. This is a true gem.